Gulf Craft’s Majesty 70 boasts exquisite design and distinguished engineering. 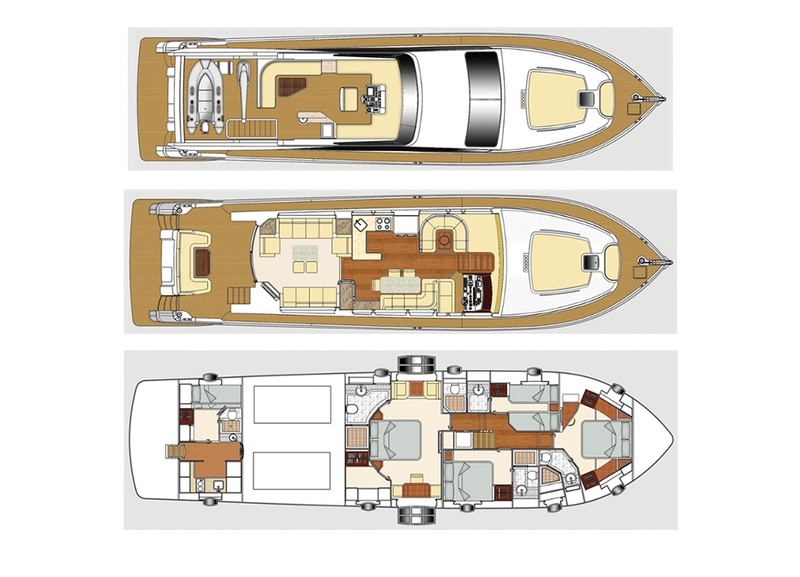 It has been specifically designed with panoramic side windows that creates an “out of water” impression while seated in the saloon. With ample of space on the fly-bridge or on the optional hydraulic swim platform, the Majesty 70 is an elegant fly-bridge motor yacht with a large fun factor and true cruising ambitions.